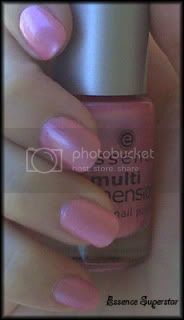 NOTD: Essence Superstar - Cherry Colors - Cosmetics Heaven! 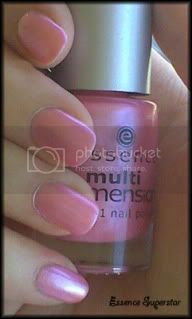 My nail of the day! 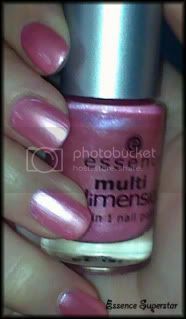 I love this color, it's gentle pink with a frost finish. Okay, I don't like the frost finish, because I don't like to see the brush stripes or w/e, but it's still pretty! It's so pretty that I colored my toe nails with it too! natural light: shadow: flash light: Two layers. I absolutely love it! I think it makes look prettier my skin tone, doesn't it?